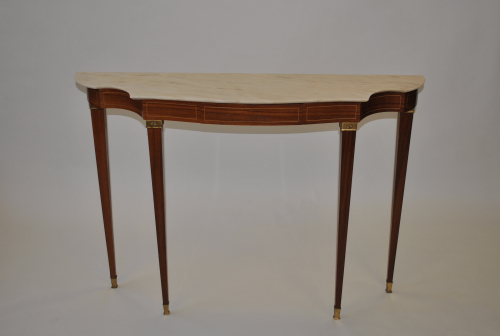 Rosewood console with shaped marble top. Lovely brass detailing and sabots. Marble in very good condition.